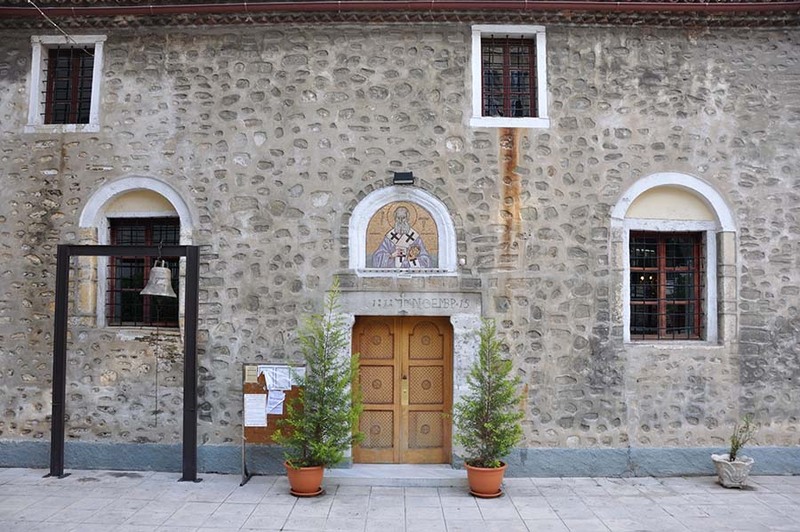 The church of Agios Minas is located in the southwest part of the center of Thessaloniki, near the sea and the port, at the intersection of King Herakleiou and Ionos Dragoumis streets. The oldest written reference to the church is found in the Life of Agios Gregorios of Decapolitou (first half of 9th century), but there are reasonable indications that the foundation was in the Christian era (late 5th-early 6th century). Sporadic reports for the church provide documents of the 11th, 12th, 14th and 15th century, which come from the monasteries of Mount Athos. 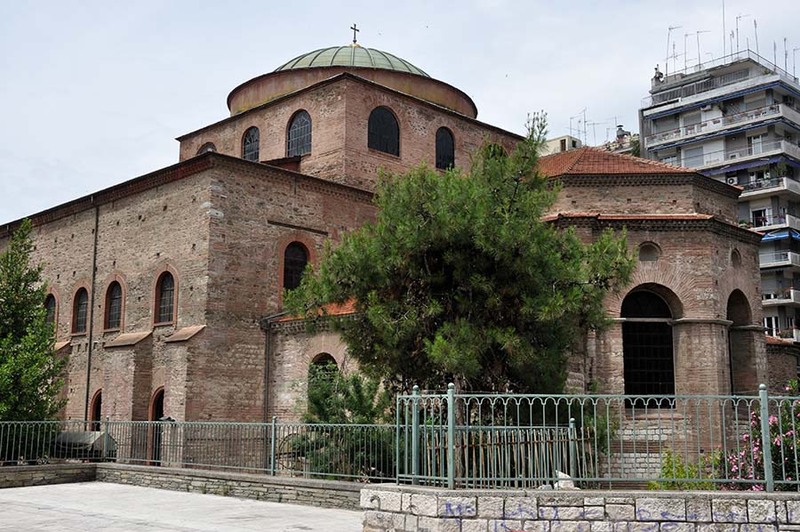 The church is one of the few of Thessaloniki, which - after the city's occupation by the Turks - was not converted into a muslim mosque, remained in the possession of Christians and continued to function normally, maintaining its Greek name. However, during the Turkish occupation, the church has undergone repeated wear and damage and subsequent repairs and reconstructions: in 1569, the Sultan Selim II extracted from it six columns, in 1687 it was bombarded by the Venetians warship, in the 18th century it was burned almost completely; it was rebuilt in 1806 on the initiative of the wholesale merchant Ioannis Kaftantzoglou but it was damaged again by a great fire in 1839. The present church of Agios Minas is the result of its radical reconstruction and renovation that took place in mid 19th century under the supervision of architect Ralli Plioufou. The building was rebuilt in the style of three-naved basilica of post-Byzantine, while the interior decoration it received was rich and with obvious influences from neoclassicism, as well as from the Baroque-Rococo of the Central and Western Europe. 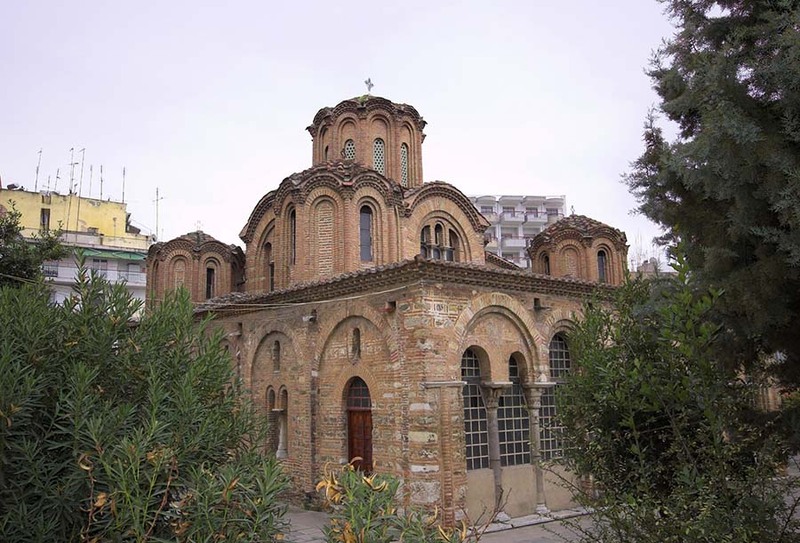 The temple was diversified from the other post-Byzantine monuments of the city thanks to its original and refreshing features, and now it serves as a model for churches that were built both in Thessaloniki and the wider region of Macedonia. Between 1890 and 1912, it was the metropolis of Thessaloniki and in it there was celebrated the first brilliant and festive thanksgiving after the liberation of the city on October 26, 1912.